First published in 1987, this is an introductory study of the most widely read Canadian women’s novelists of the 1970s and 1980s. At its centre lies the question of how the search for a distinctive cultural identity relates to the need for a national cultural identity in the post-colonial era. 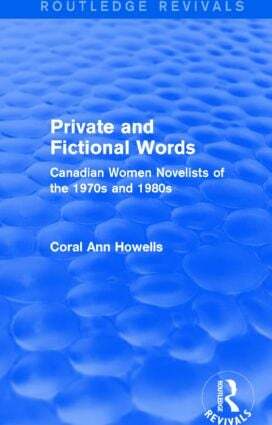 Coral Ann Howells argues that Canadian women’s fiction throughout the period of study represents how the Canadian cultural identity exceeds its geographical limits, and those traditional structures of patriarchal authority need revision if women’s alternative views are to be taken into account. Including short biographical sketches and a complete list of the books published by the authors under discussion, writers examined include Margaret Atwood, Alice Munro, and Margaret Laurence.